Many mentors were supportive yet sceptical over what we are trying to do. However, every threat is an opportunity and we had great mentors who supported us with advice and connections. 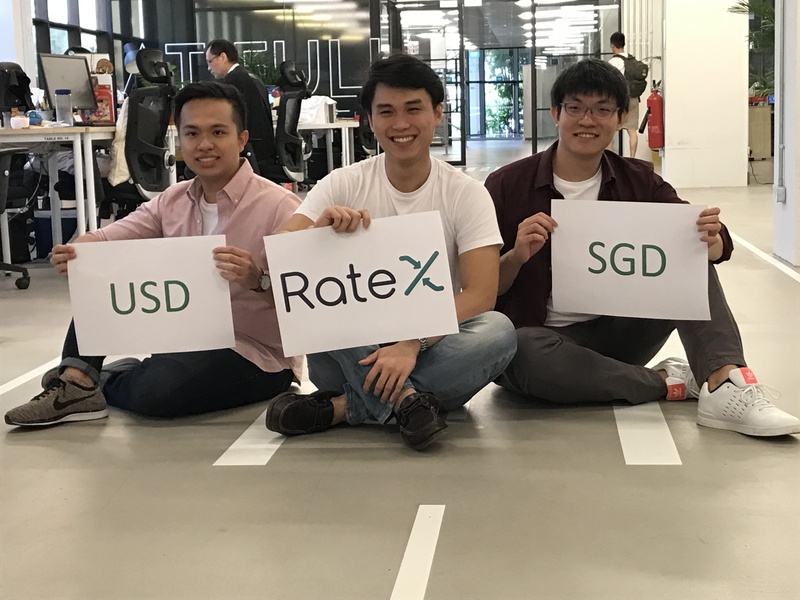 Jake Goh, Davis Gay and Lim Jing Rong are the co-founders of RateX, a payment system that lets you pay only the item price (in SGD) when you shop overseas online. The currency exchange is done based on currency exchange websites like XE i.e. no hidden bank or credit card charges. Think of it as PayPal, except as a Google Chrome extension that will correct for your costs when you hit ‘checkout’. “With credit cards, there is a lack of transparency in terms of exchange rate [and] most people don’t know how much they pay in foreign currency till the bill comes,” Jake says. Since their launch, the team has already helped shoppers save S$34,029 across 2,500 transactions. In addition, they’ve also raised close to S$500,000 from “NUS Enterprise, SPRING Singapore and angel investors”. Not bad for a startup that hasn’t even celebrated its first birthday. 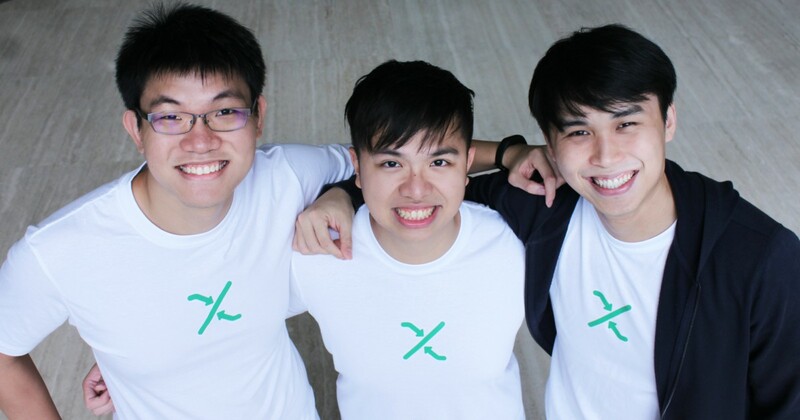 All 3 co-founders met during their National University of Singapore’s Overseas Colleges (NOC) in Silicon Valley and New York. Upon their return, they transformed their experiences into RateX. Jake handles the non-technical aspects of the business, and the weekly office cleaning. Jing Rong and Davis are in charge of the front-end and back-end related development respectively. “We started during our final year in university,” Jake explains. “My co-founders continued with their honours degree, [but] I committed to this full-time, giving up my honours for it. That didn’t make my family too happy,” he laughs. But after they were featured on The Straits Times, his family were convinced they were “doing something meaningful”. “Our family and friends all thought we were going to join a big name in the Valley,” Jing Rong and Davis share. Of course, there were people who viewed their idea with scepticism. “NOC gave us the opportunities to open up our eyes and learn from and with, US’ entrepreneurial ecosystem,” Jake reflects. Unlike Jing Rong and Davis, Jake was directly involved with another entrepreneurial venture – PlayDate – a remote controlled toy allowing pet owners to interact with their pets. And there he also launched a successful Kickstarter where he raised over $1.08 million, and met co-founders Kevin and Anthony, both of whom he now calls his “best mentors”. “Before NOC, I had zero experience about startups. I learnt through internships and courses,” says Davis. One important lesson was that startups should disrupt quickly. If you are not quick enough, another startup or the ones who are supposed to be disrupted, will do it. Being located in the mecca of entrepreneurship gave him a front row seat to distinguishing “a great startup from a good one,” Jing Rong adds. What’s important is not your background, your education, or how long you have been in the industry. It’s the grit to keep going when the going gets tough, and the discipline to not get complacent when you are ahead. With fundings of almost $500k, the team plans to explore expansion with new merchants and new currencies in UK, UK and China among others.